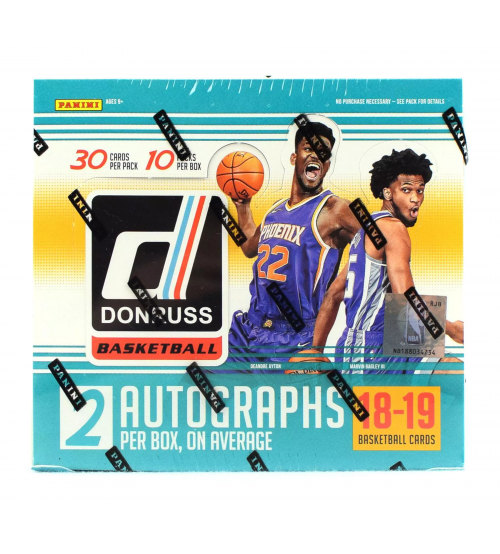 Each Box contains Two Autographs and 24 Inserts/Parallels Per Box, on average! The 2018-19 NBA season kicks off with Hoops! 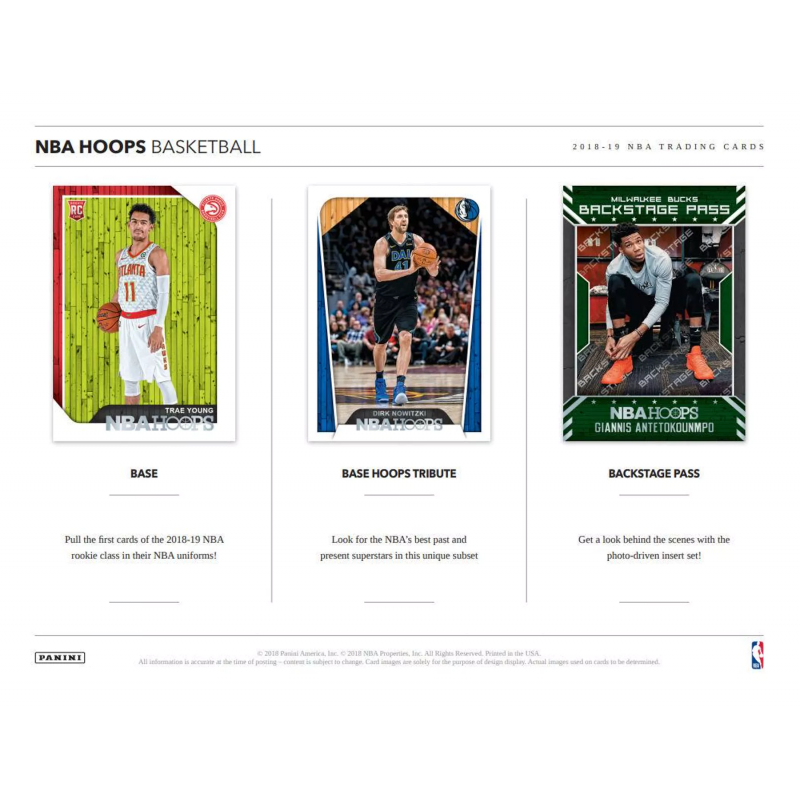 Look for the first trading cards of the stars from the 2018-19 NBA rookie class in their NBA niforms, including Deandre Ayton, Marvin Bagley III, Luka Doncic, Trae Young and more! Pull autographs from the top incoming rookies, as well as the NBA's top veterans and legends, in Hot Signatures Rookies and Hot Signatures! Look for rare Red Hot versions limited to 25 copies! 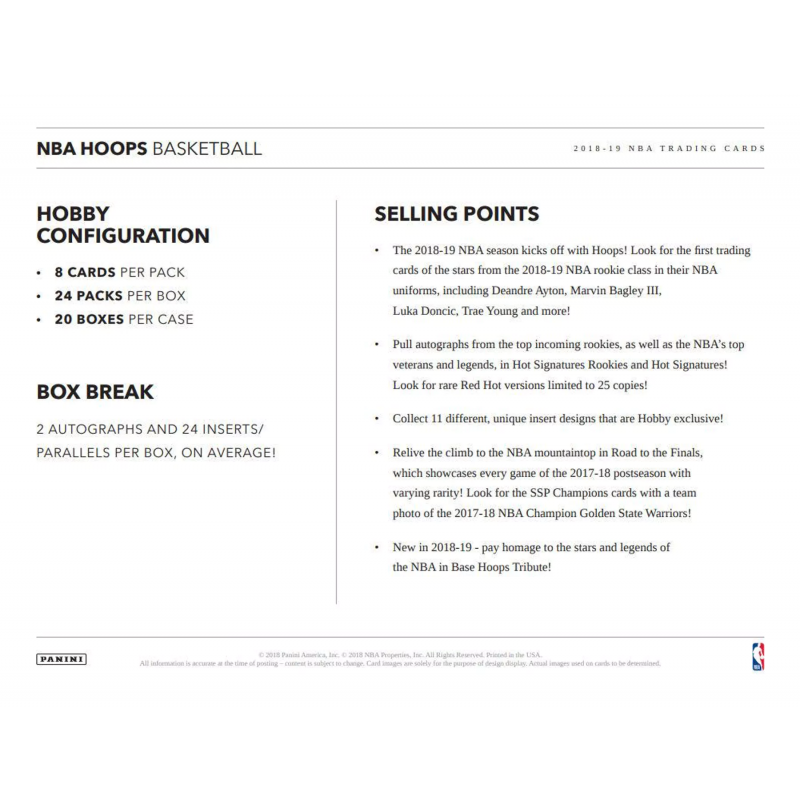 Collect 11 different, unique insert designs that are Hobby exclusive! Relive the climb to the NBA mountaintop in Road to the Finals, which showcases every game of the 2017-18 postseason with varying rarity! 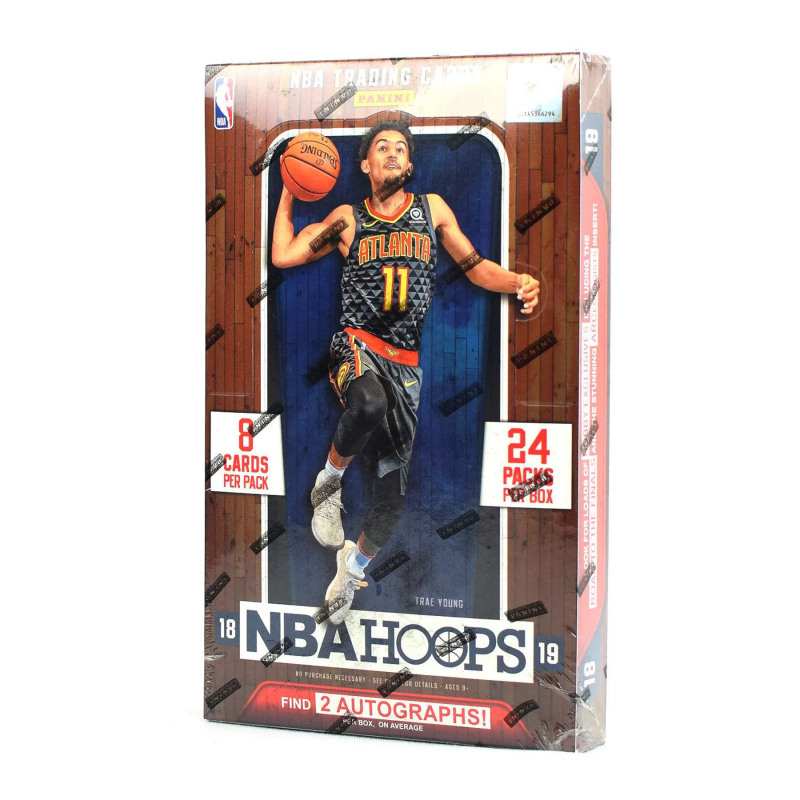 Look for the SSP Champions cards with a team photo of the 2017-18 NBA Champion Golden State Warriors! 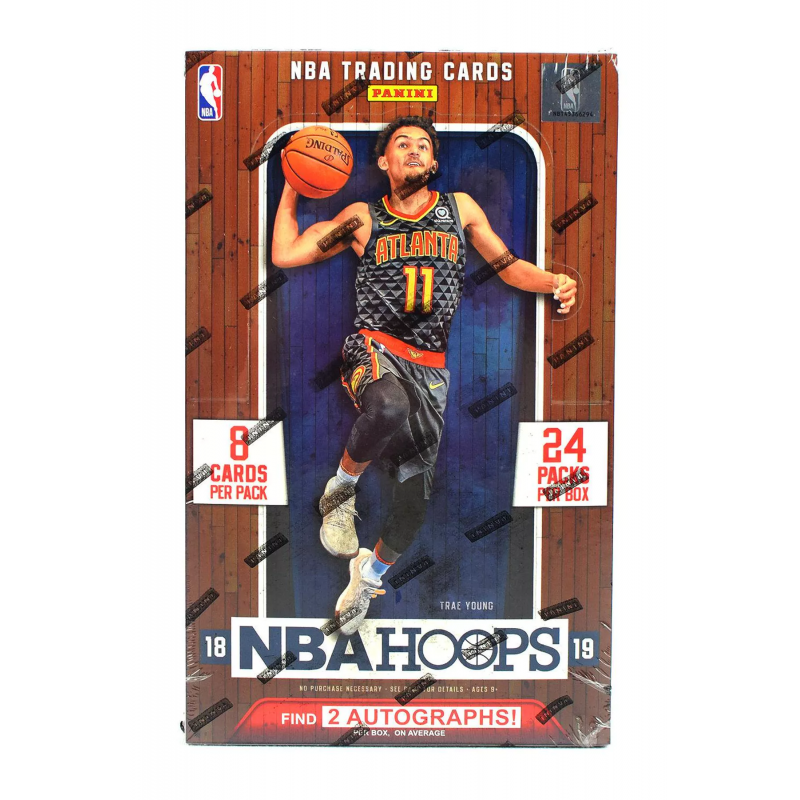 BASE: Pull the first cards of the 2018-19 NBA rookie class in their NBA uniforms! 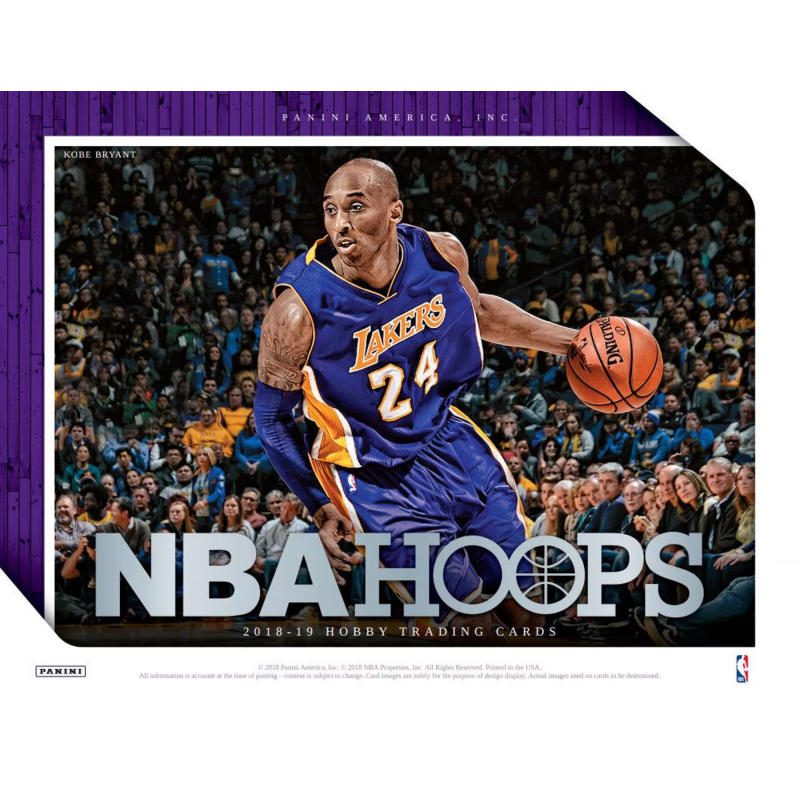 BACKSTAGE PASS: Get a look behind the scenes with the photo-driven insert set! 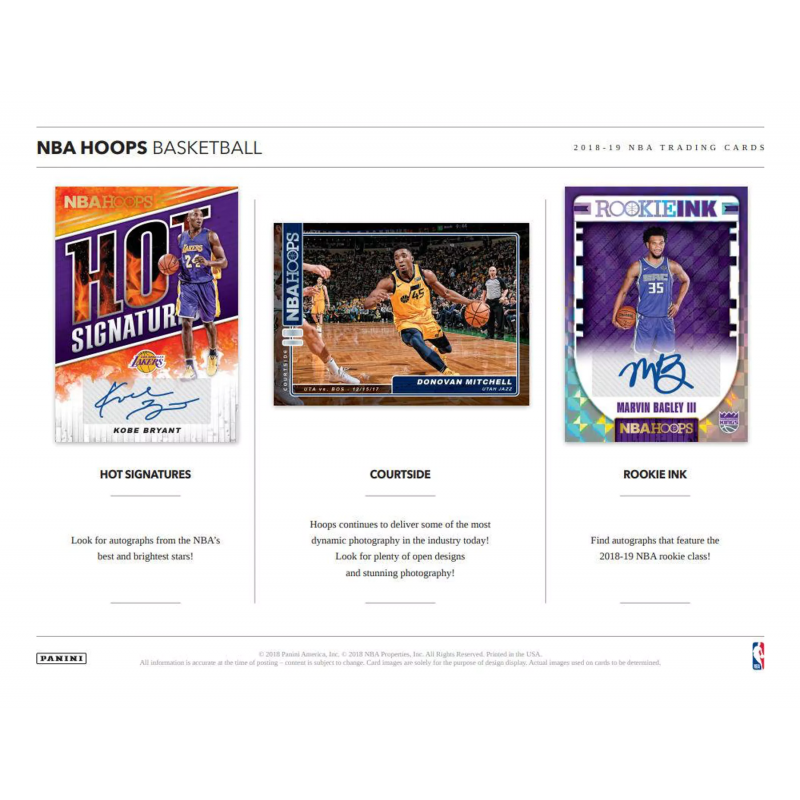 HOT SIGNATURES: Look for autographs from the NBA's best and brightest stars! COURTSIDE: Hoops continues to deliver some of the most dynamic photography in the industry today! Look for plenty of open designs and stunning photography! ROOKIE INK: Find autographs that feature the 2018-19 NBA rookie class! 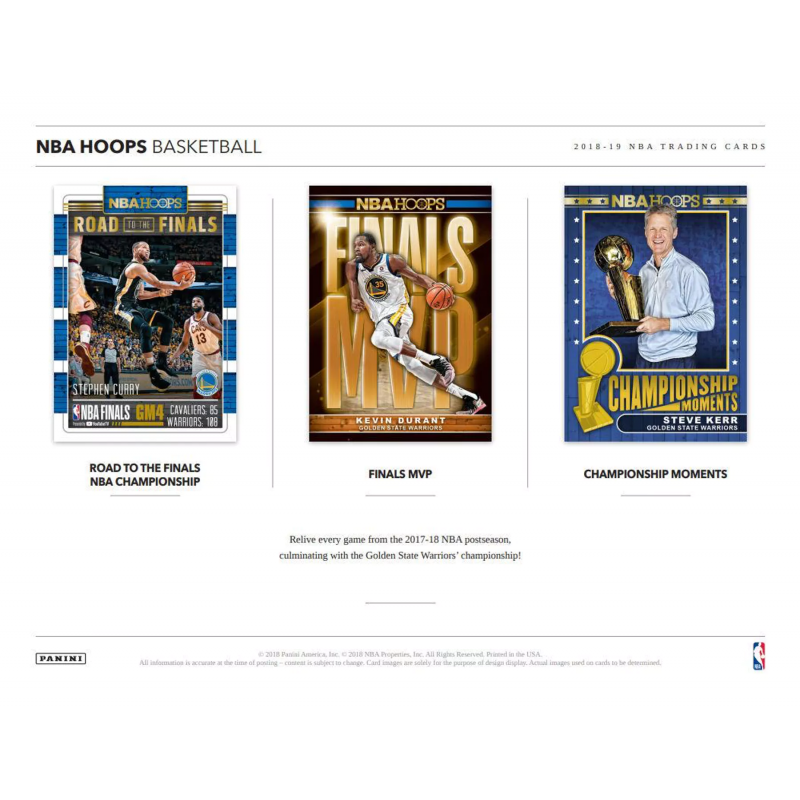 ROAD TO THE FINALS NBA CHAMPIONSHIP/FINALS MVP/CHAMPIONSHIP MOMENTS: Relive every game from the 2017-18 NBA postseason, culminating with the Golden State Warriors' championship!